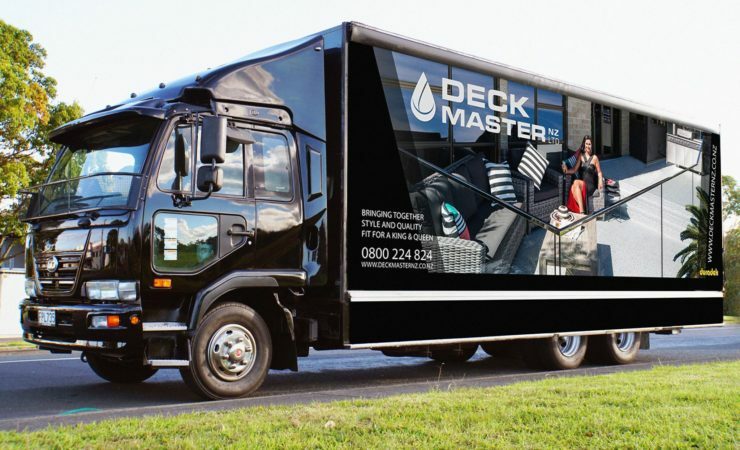 Deckmaster NZ presents their new six-wheeler truck to the public! Our curtains feature one of our recently completed decks. We are proud of the Duradek product we install. What better way of displaying the product on wheels for everyone to see and to have displayed the lifestyle it can bring. The Duradek transformation is sensational and a must have on one of your most used summer living spaces.